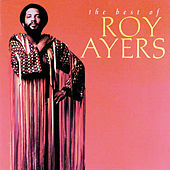 A master vibraphonist, producer, singer and songwriter, Roy Ayers is a soul-jazz legend with a deep discography spanning more than 40 years. This compilation features solo work and music from his 1970s group, Ubiquity. Blaxploitation flick jam "Coffy Is The Color" and oft-sampled "We Live In Brooklyn, Baby" are highlights.